Blue Daisy Designs: You Make Me Happy! Hi! Happy Thursday! Yay, it's nearly the weekend! What a good week it's been so far, although, some unexpected expense! Looking forward to a busy week too. It's non stop! I'm still in desperate search for my crafty mojo but I did try to stay focussed to make a card. No colouring involved... just some die cutting! What I really need to focus on is tidying up my craft room.. apparently it has a floor but it's covered with new stuff that I've not got round to playing with yet... maybe a tidy up will be my inspiration! Labels: Marianne Designs, Stampin' Up! Wonderful card, love the layout and colours used. Simple yet utterly adorable. LOVE the silhouette kitties. Thanks for joining us at ATSM, Tracy. 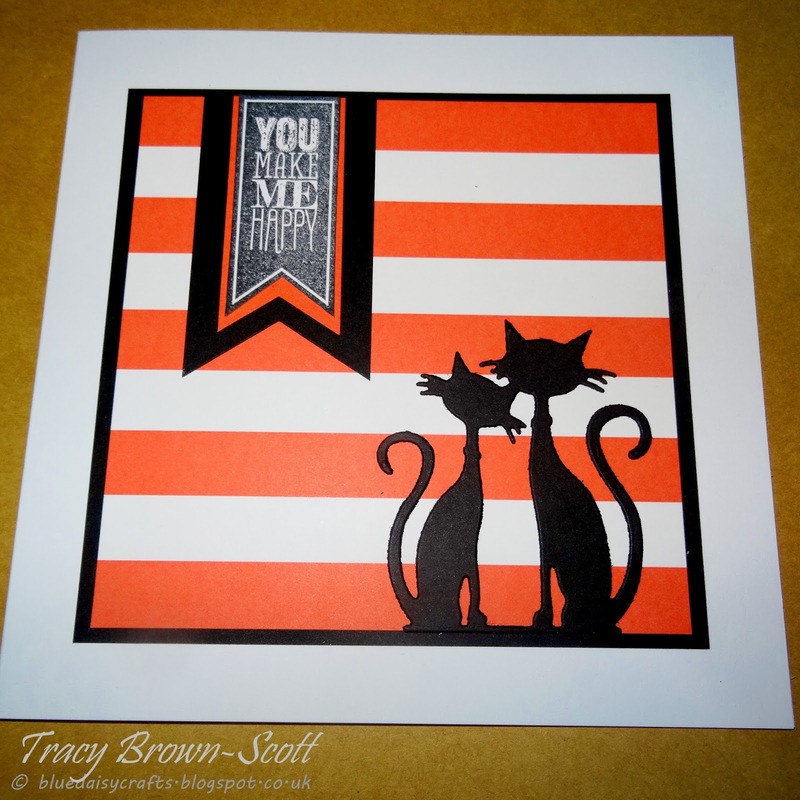 I love how the striped paper makes your die cuts pop! Thank you for joining us at THE PAPER SHELTER with your lovely work! Good luck and please join us again, it is a treat to see your work!